Mold inside of schools and offices can have a range of effects, from unsightly to deadly, depending on the strain, and has been directly linked to several preventable deaths over the last few months in both school dorms and medical care facilities. A mold cleanup was recently completed by the facilities maintenance staff at Oklahoma University after a series of complaints were filed by students concerned with the potential health issues. Aspergillus - Typically affects those with weakened immune systems, with complications including allergic reactions, lung infections, and infections in other organs. Penicillium - Certain species can produce mycotoxins, which are dangerous and even deadly to those with allergies or compromised immune systems. Exserohilum - Best known for causing blight and human immune system diseases. Last semester, students and parents brought to our attention concerns about potential mold in certain residence halls. I want to provide you an update on the actions taken to address concerns including completion of cleaning and refurbishment of all fan coil units. In October 2018, we began cleaning the air units and bathroom air vents in every room to make sure they work efficiently and that each room has optimum air flow. Cleaning of the fan coil units and bathroom exhaust fans in Walker, Couch and Adams Residence Halls has been completed. UO students and parents were justified in their concerns. In August of 2018, students at the University of Maryland began complaining of mold growing on their shoes and clothing to facilities and faculty staff. For the large part, the complaints went unheeded until in November of 2018 when an 18-year-old female student died of adenovirus as a direct result of exposure to mold in the dorm--the exact rare virus responsible for the deaths of several children in a New Jersey hospital only a few short weeks prior. A student at the University of Maryland has died after suffering from a strain of the Adenovirus, school health officials said. The school learned that a student was sick with the illness on Nov. 1, David McBride, the director of the university's health center, said in a statement released Tuesday. Since then, five more students have been diagnosed with the Adenovirus. On Monday, the health center learned that one of the specimens they sent to the Centers for Disease Control and Prevention (CDC) was confirmed to be type 7 of the illness. The same strain of the Adenovirus was found to be at the center of a viral outbreak at a rehabilitation center in Wanaque, New Jersey, that has killed 11 children. Mold cleanup is not easy. Always wear proper safety equipment, including gloves, goggles, and a mask or respirator. 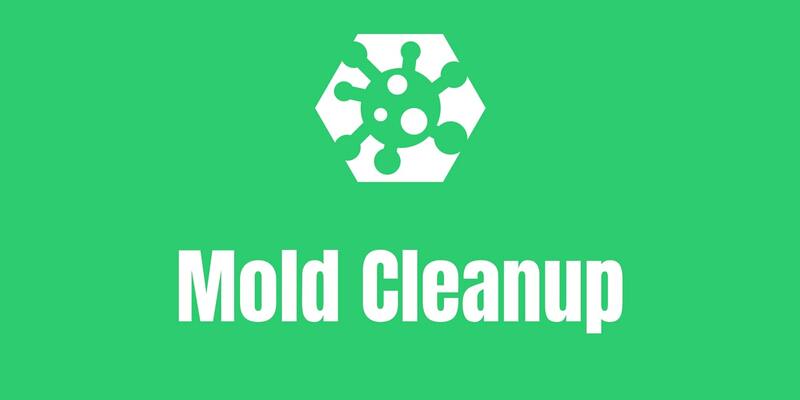 Remove all mold-damaged items to the trashcan and dispose of them immediately. Ventilate the space completely to reduce dangerous airborne mold spores. Scrub with warm soap and water as thoroughly as possible--bleach has a limited efficacy when cleaning mold. Dry the space thoroughly before returning to test for the presence of any further infestations. 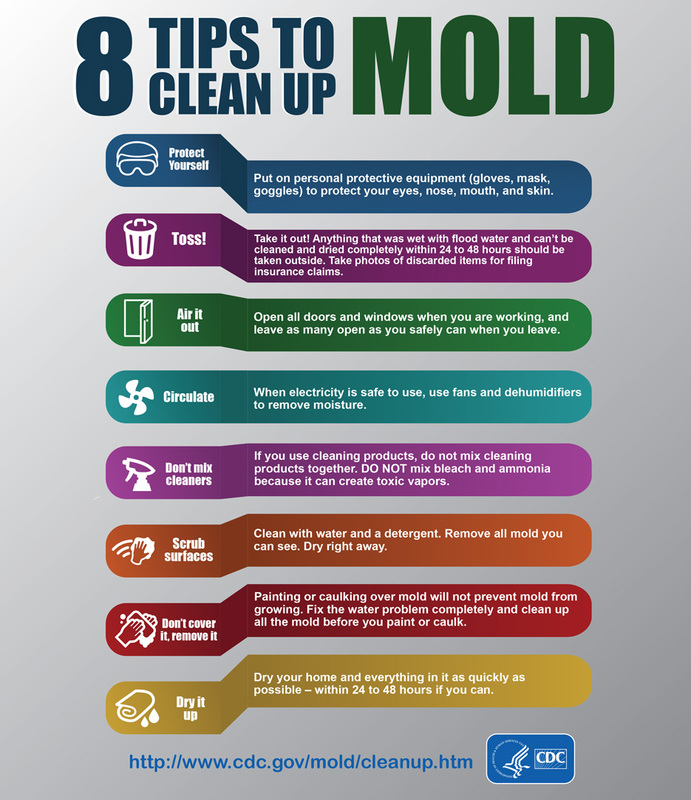 Mold cleanup is difficult, can be dangerous, and if done improperly, can lead to serious health issues in workers and building occupants. Commercial mold investigations and cleanup should only be performed by trained personnel with the proper safety equipment and training. If you believe your building is infested with mold, please do not hesitate to contact us and schedule an experienced service provider and account manager onsite as soon as possible.